The 5th Business Lunch was held on Friday 5th of October in Fitzwilliam LTC and we had over 40 past pupils along with the school principal Clare Catterson and the deputy principal Lesley Plunkett attended the lunch. 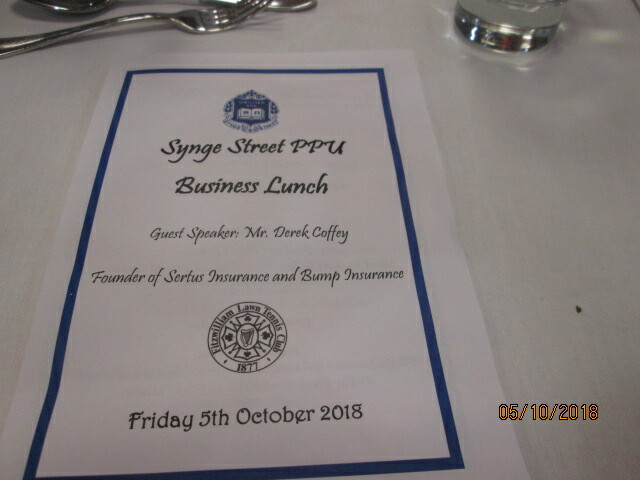 Our guest speaker Derek Coffey (founder of Sertus Insurance and Bump Insurance) gave an outlook on issues facing the Insurance Industry today and his times in Synger. The lunch raised much needed funds for the school and we are delighted to inform you the lunch raised €3,000 for the school. 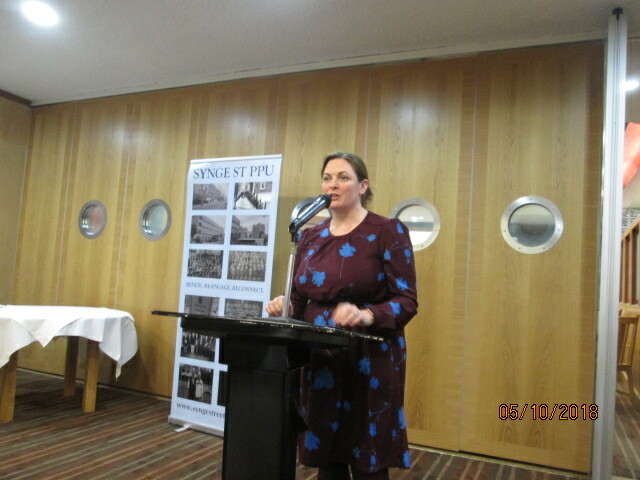 A Big Thank You to all who attended the lunch. Hope to see you at next year’s lunch.